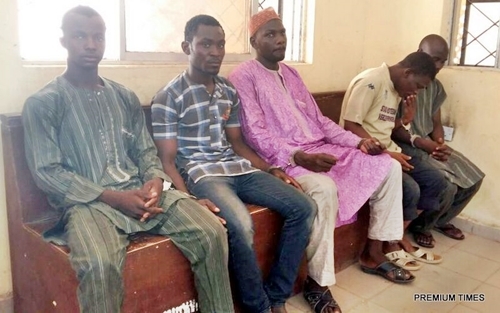 The five suspected killers of 74 year old Mrs. Bridget Agbahime, the Christian woman who was murdered for allegedly making a blasphemous statement at Kofar Wambai Market in Kano state on June 2nd, have been released. 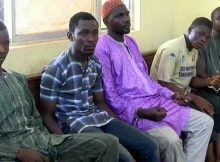 The Chief Magistrate of the Kano Magistrate Court, today discharged all the five suspects namely Dauda Ahmed, Abdulmumeen Mustafa, Zubairu Abubakar, Abdullahi Abubakar and Musa Abdullahi. The police had at the time of the incident arrested the suspects in connection with the murder and had immediately slammed a four-count charge of allegedly inciting disturbance, culpable homicide, joint act and mischief on them. The Principal State Counsel, Rabiu Yusuf, who represented the attorney-general of Kano State told the court that there is no case to answer as all the suspects were innocent and should be discharged immediately.